Sealers and heatsealers to seal your product in to polythene-tubing or to make your own small batch bags. 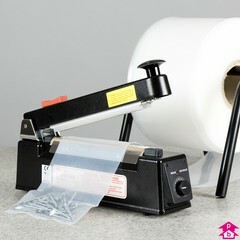 The impulse range are ideal and easy to use for sealing all polythene products from 100 to 1000 gauge thick. 9 Products. 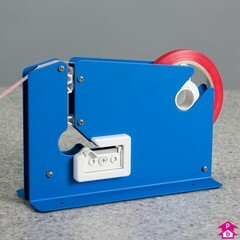 The way to seal polythene - simple to use and difficult to break, just press down for a seal. Available with or without an integral cutter blade. The heavy duty range of these HeatSealers are designed to cope with regular daily use. All machines have a 12 month warranty, excluding consumable parts. 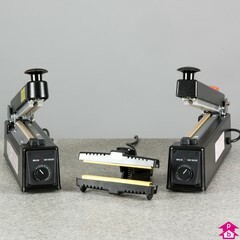 See also Heat sealer parts and spares. 2 Products. 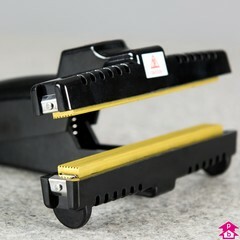 These handheld sealing tongs are lightweight 'constant' heat sealers. The HSCRIMP2 gives a 2mm seal for sealing PE/PP/PVC. The HSCRIMP15 gives a 15mm crimp seal, perfect for sealing cellophane or most types of foil. Please feel free to send in a sample of film for us to test for you first. 5 Products. The neck sealer is a simple option for sealing bags on the counter - most commonly used for bread packing. 9 Products. 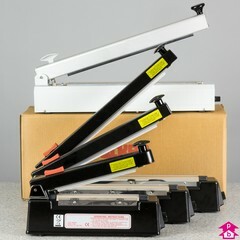 Parts and spares for our wide range of Polythene Heat Sealers. Our machines come as standard, or with an integral cutting blade (C and HD models), with the heavy-duty (HD) option suitable for regular use. All machines have a 12 month guarantee (consumable parts exempt). All our spares Kits compromise of 1 Element, 2 x Upper PTFF Teflon, 1 x Lower PTFF Teflon with the (C) and (HD) kits including a new blade for their integral cutters too.